Earlier today, Microsoft unveiled its new Kin One and Two- social network-heavy phones, exclusively on Verizon Wireless. 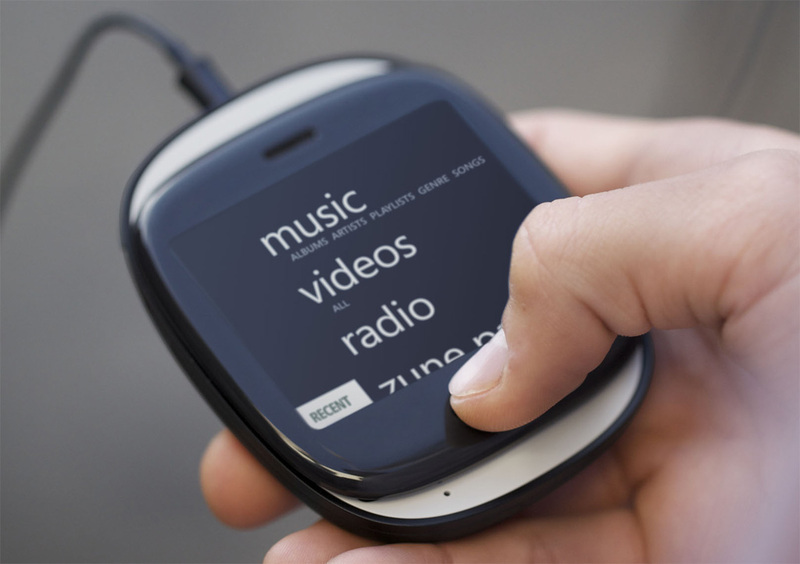 While the phones’ OS, which resulted from the company’s “Project Pink,” shares its Windows CE 6.0 underpinnings with Microsoft’s upcoming Windows Phone 7, it has a completely different interface, with an IE6-based browser (from the Zune HD), social media integration throughout, and multitouch support. Notably, it has no support for third-party apps. The Kin series is meant for “social media amplifiers”- teens and early-20s who might not be able to afford or want the complexity of smartphones. Read on for more info about Kin. 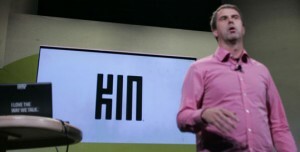 Microsoft showed off two Kin handsets, named One and Two. Both are rounded slider phones with full QWERTY keyboards. 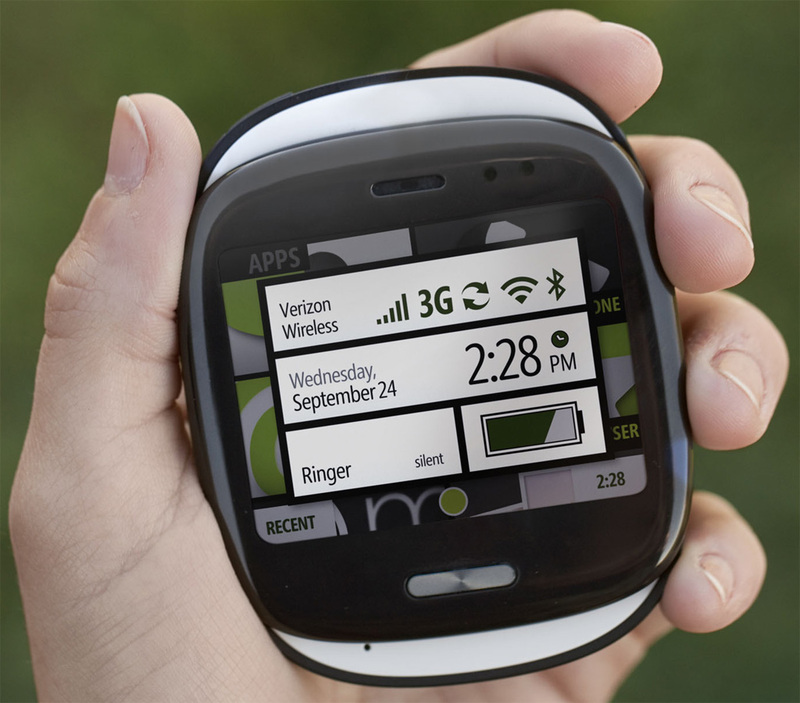 One, which had previously been codenamed “Turtle,” is a square-shaped vertical slider with a QVGA (320×240) display, 4GB of flash storage, and a 5 megapixel camera with LED flash. Kin Two, previously codenamed “Pure,” is a traditional landscape slider and adds a larger HVGA (480×320) display, an 8 megapixel camera, and 8GB of storage. Both are CDMA units with 3G cellular, Bluetooth, and WiFi radios. The internals have not been detailed, but we’re told the Kins are, like the Zune HD, probably powered by Nvidia’s Tegra system-on-chip (SoC). Like the Sidekick lineup, Kin phones are heavily cloud-integrated. Microsoft is pushing the fact that internal storage isn’t too important on the Kin OS, because all local content– photos and videos captured using the phones’ camera, messages, etc. — is synced seamlessly with Microsoft’s Kin Studio online service, which offers unlimited storage. Kin Studio is a Silverlight app that offers a rich experience to view and work with the phones’ contacts, images, videos, social network integration. Kin has a completely new UI that focuses on simple, block text and stylized pictures. 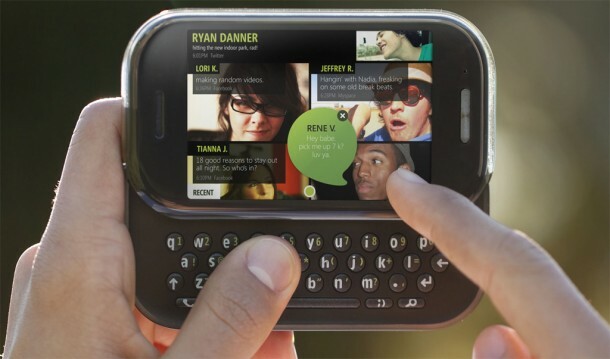 It’s different from the “Metro” UI seen in the ZuneHD and Windows Phone 7 and has two big unique features, “Spot” and “Loop.” Loop is the Kin home screen, similar to Windows Phone 7’s home screen but focusing only on people. Loop aggregates your friends’ social updates (from Twitter, Facebook, Windows Live, etc.) based on an order of priority (so you mainly see updates from people you want to follow). Spot is a green dot that lies at the bottom of almost every screen in Kin that you can drag content onto. Dragging content like maps, images, status updates, videos, and more onto Spot lets you share it with contacts via SMS, MMS, email, or social media updates. Both Kin phones have the full Zune HD music and video interface (no gaming or Zune apps, though) built in for media playback. While the (Windows-only) Zune desktop client will be the primary way to shop for and sync content, Microsoft will offer a music loading program for OS X that’ll allow users to sync non-DRM content (from iTunes or elsewhere). Kin will offer over-the-air firmware updates, so the native client is just for media syncing. Kin One and Two will launch on Verizon Wireless in the U.S. in May, and GSM versions should hit Vodafone in Europe in the Fall.